“Ryuichi Sakamoto is a Japanese musician, singer, composer, record producer, activist, writer, and co-founder of Yellow Magic Orchestra (YMO). He is respected as one of the pioneers of synth pop and electronic music, which helped to cultivate Japanese music. Along with the international success that came with YMO, Sakamoto has also written Oscar winning film-score and made international collaborations with likes of David Sylvan and Alva Noto. In 2018, RYUICHI SAKAMOTO: CODA, the documentary film about Sakamoto himself, both the artist and the man was released. 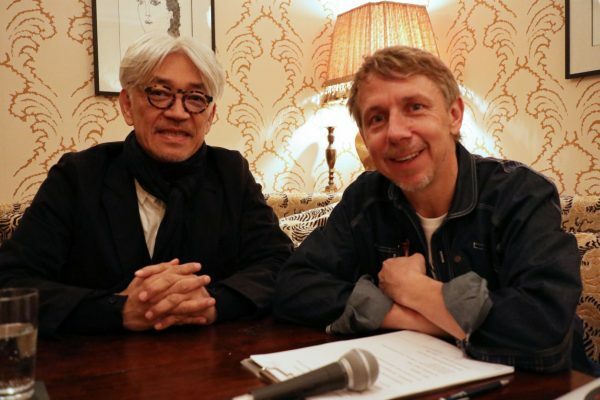 Gilles Peterson had a chance to sit down with Sakamoto and to have an in depth conversation about his musical history and his feelings about the world today. This 2-hour special show features a special interview; as well as, words and music from 2 musicians who are deeply influenced by Sakamoto: Ski Oakenfull and Ola Szmidt. 2019 marks the 40th anniversary of “Solid State Survivor” (1979), one of the most acclaimed albums of Yellow Magic Orchestra, and the 20th anniversary of “BTTB” (1999), Sakamoto’s Piano solo album.